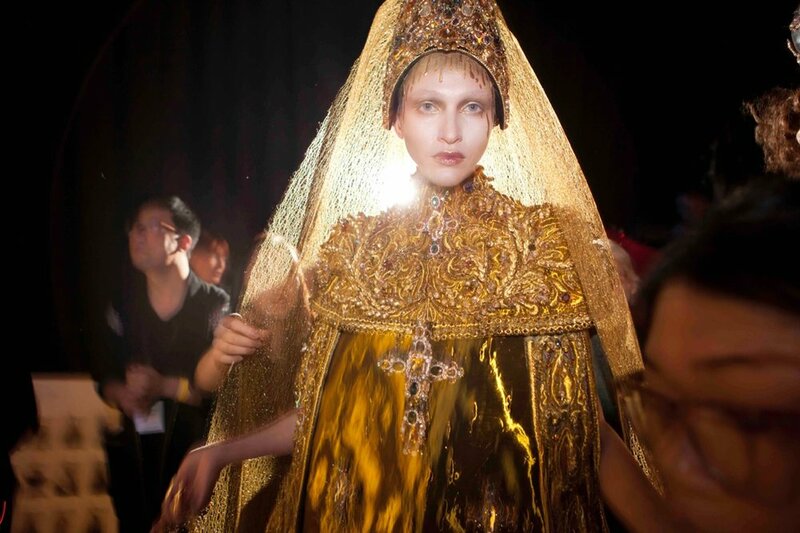 Guo Pei has been the éminence grise of Chinese fashion for the past decade. Her creations are ornate, baroque and bombastic. Glimmering with gold and heavy with delicate embroidery, elaborate outfits are often adorned with phoenixes and dragons. She only became known to Western audiences when the singer Rihanna walked the 2015 Met Gala red carpet in one of her most audacious garments.